Are you looking to hire talented professionals? Or maybe you are looking for a career change? Perhaps you are working at an NGO or are with a cultural organization looking for partnerships? Maybe you have an idea for a business and need some feedback? 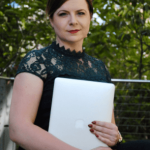 Iwona is an online business, brand and technology strategist for passionate entrepreneurs who want to turn their ideas into business, build a strong cohesive brand and make more money while enjoying their freedom. 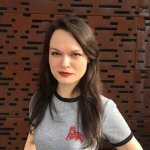 Iwona has been involved in the startup scene since starting a startup in 2013. She calls herself a lean startup and design thinking enthusiast and tech and social media junkie. After hours she engages in initiatives that support women in tech. She is a two-time marathon finisher and an avid traveler. Before starting her entrepreneurial journey she had worked for international companies both in Europe and in the US. Geek Girls Carrots meetups co-organizer in Cracow. Looking for a unique opportunity to meet innovative entrepreneurs? Are you a student interested in learning more about the dynamic world of startups? Ula graduated from the Jagiellonian University with an M.A. in Performance Studies. She is passionate about human-technology interaction and human enhancement technologies. Enthusiast of unusual solutions and connection between art and technology. In her free time Ula is the co-organizer of local Geek Girls Carrots Events in Cracow.